A blanket of low cloud lowered over Dalwhinnie and Drumochter but the forecast said that the layer of cloud was up to around 1000m. So with hopes of emerging from the clag and getting some views, I crossed the railway at Balsporran and headed up towards the mist. A nice cataract on the main stream is worth a short detour to the left of the track to look at it. 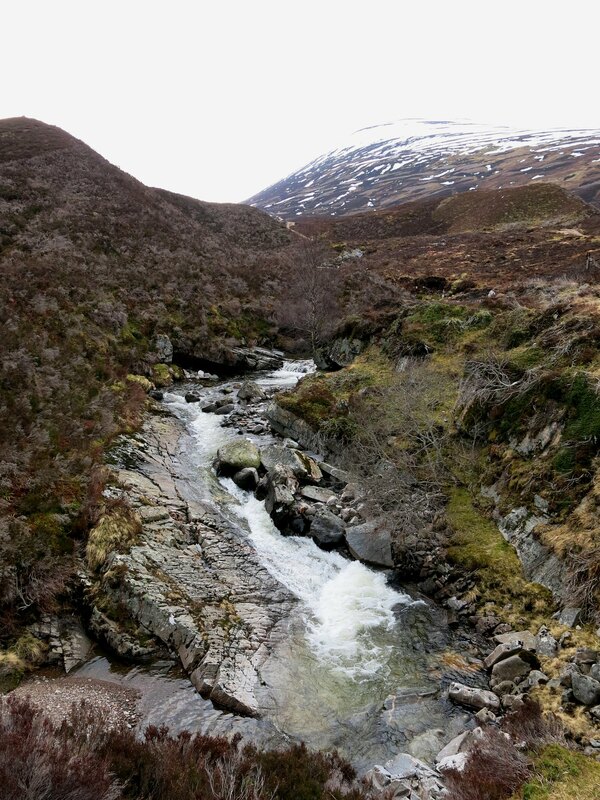 The route is very easy, and very easy to follow - just make sure that, when following the main track up the Allt Coire Fhar, you take the second track off to the right, after going over a small stream. 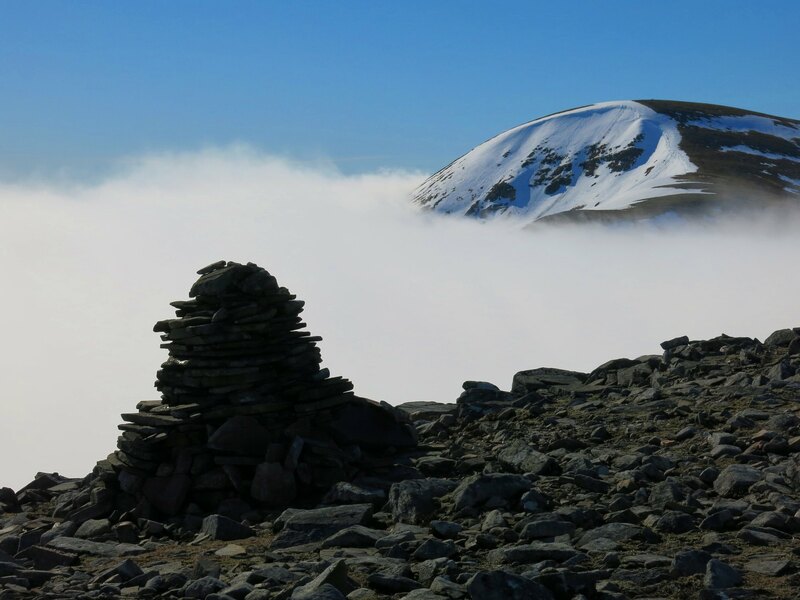 The track becomes a path and just gradually rises up to a tall cairn, a smaller one and a stone-built seat. 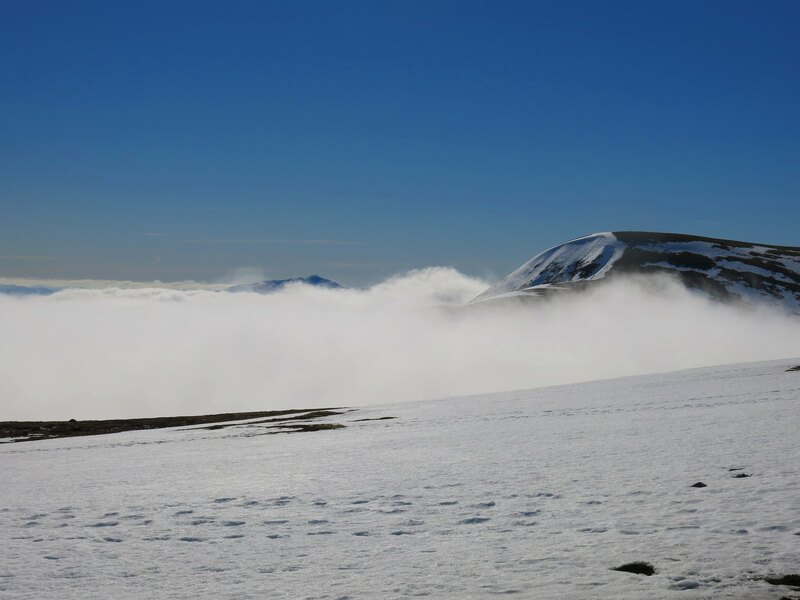 And suddently the mist ripped apart into bright sunshine and a view of A'Mharconaich. 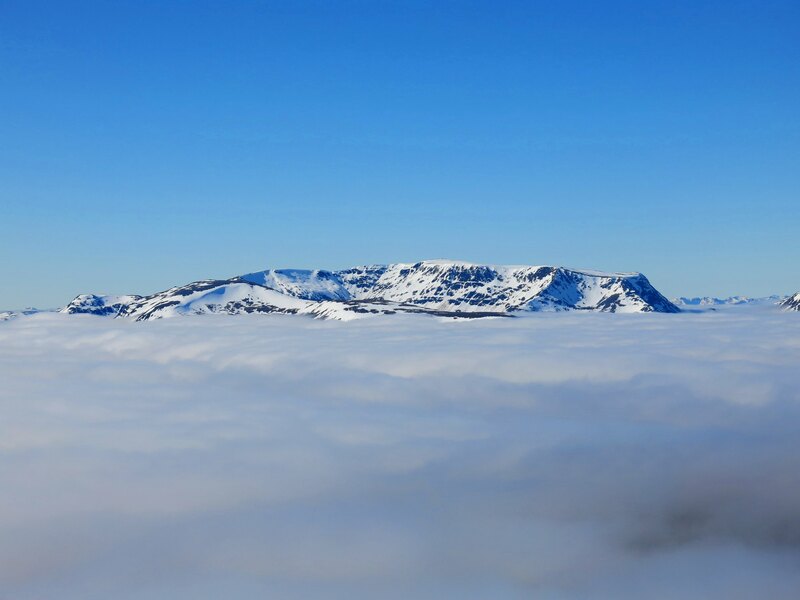 At one point on the summit plateau, there was also a glimpse of Ben Vrackie beyond the clouds. 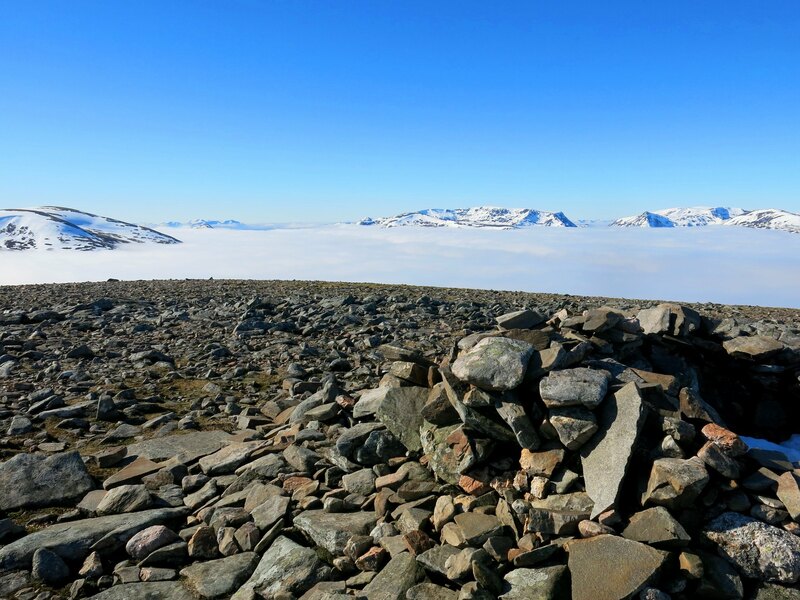 The summit of Geal Charn was a wonderful viewpoint, with a vista of the summits beyond Loch Ericht. 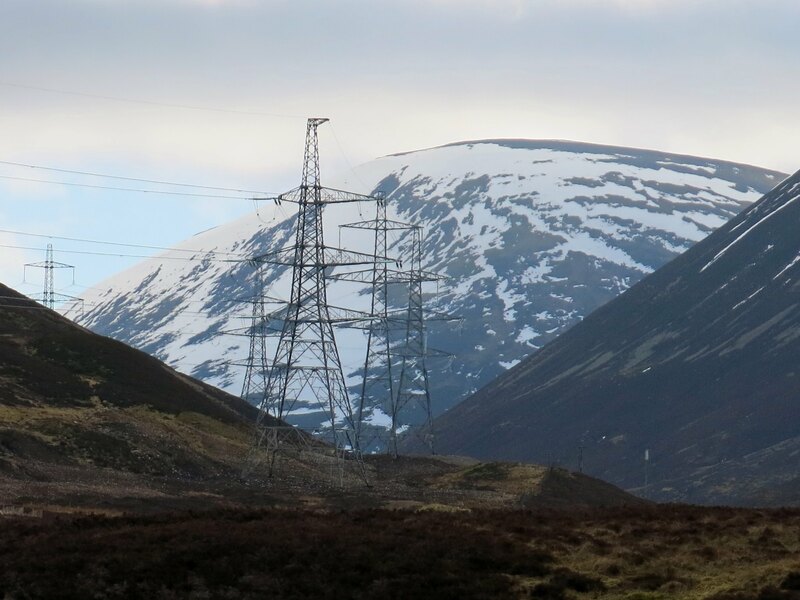 There appeared to be a remarkable symmetry between the Ben Alder and Geal Charn massifs either side of the Bealach Dubh. 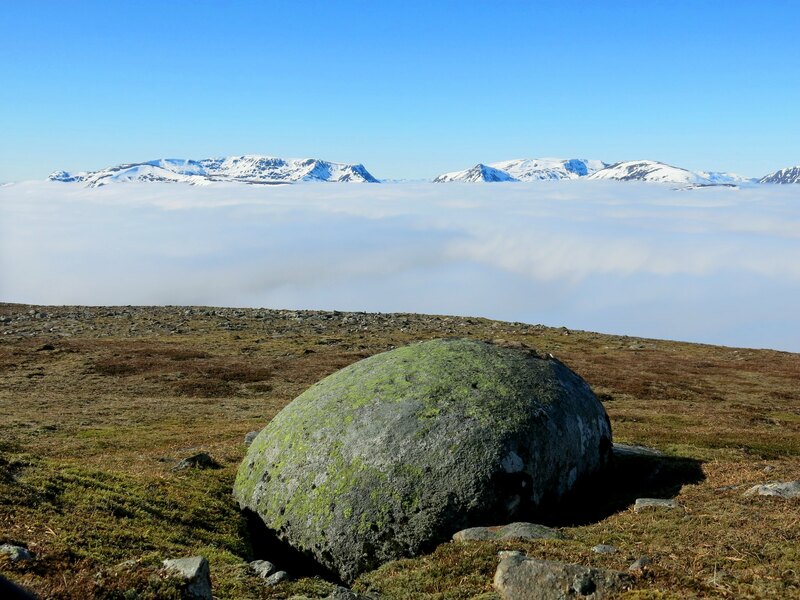 I had noticed a number of pleasingly rounded boulders on the flanks of Geal Charn. 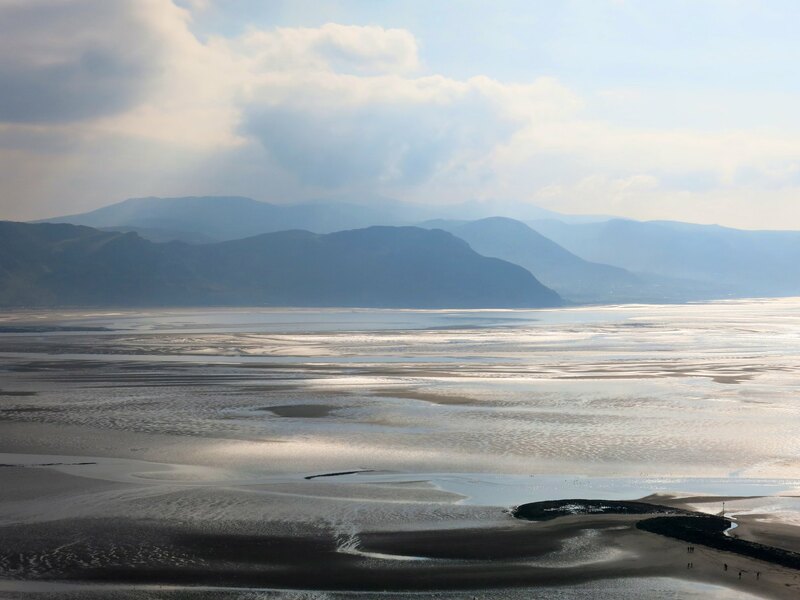 This one was my favourite, with a great view of the "symmetrical hills". 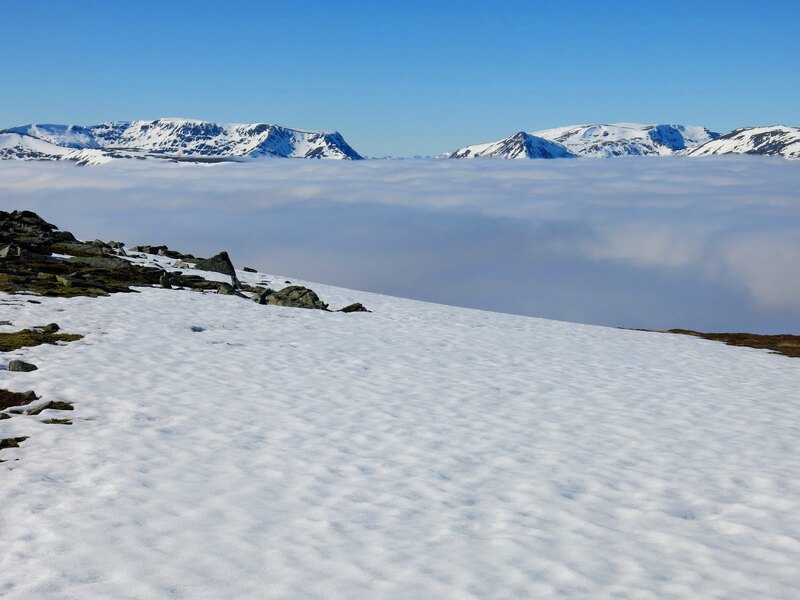 After that it was into the mist - down to the col, then I took a gradually rising line westwards into upper reaches of Fraoch Choire, heading for the 861m col at the head of that corrie. 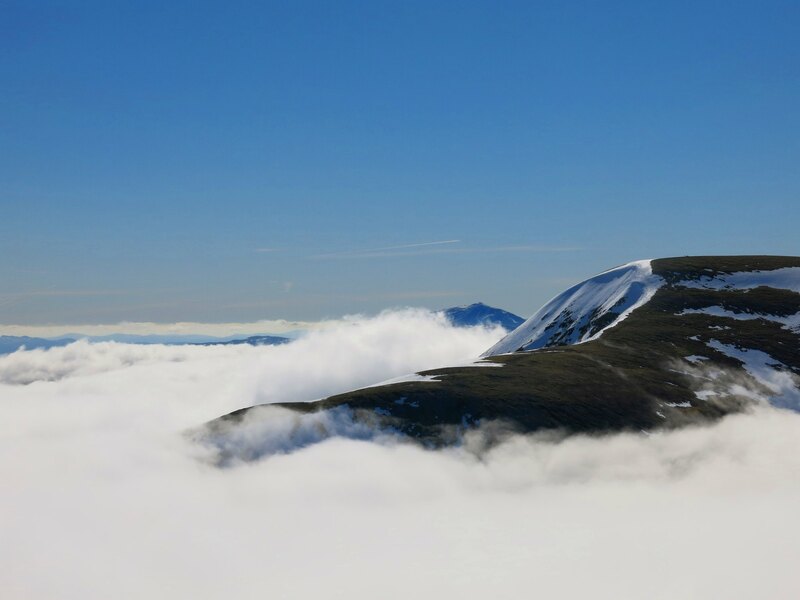 At that point I was thinking of adding in Beinn Udlamain but I began to realise that the cloud had become more extensive and there would probably be no view from the top. 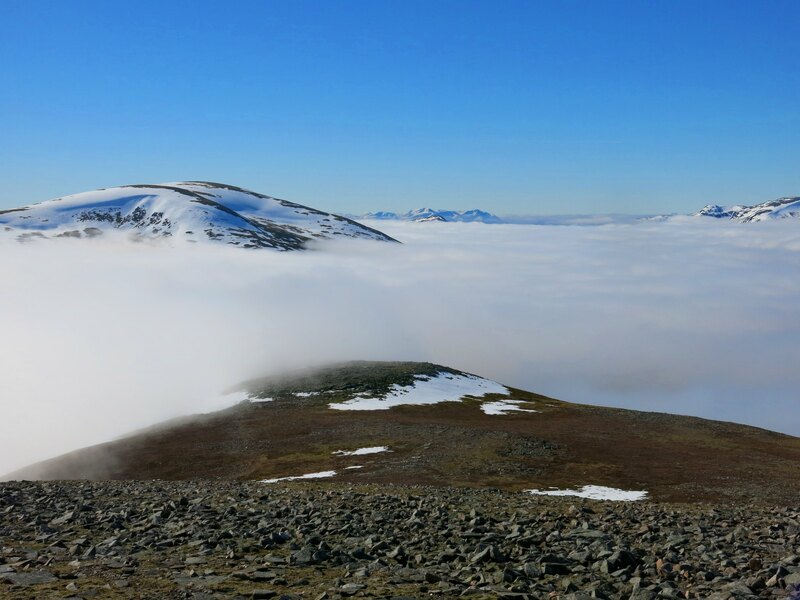 I decided to just go to A'Mharconaich and followed the broad ridge north-westwards to the summit. 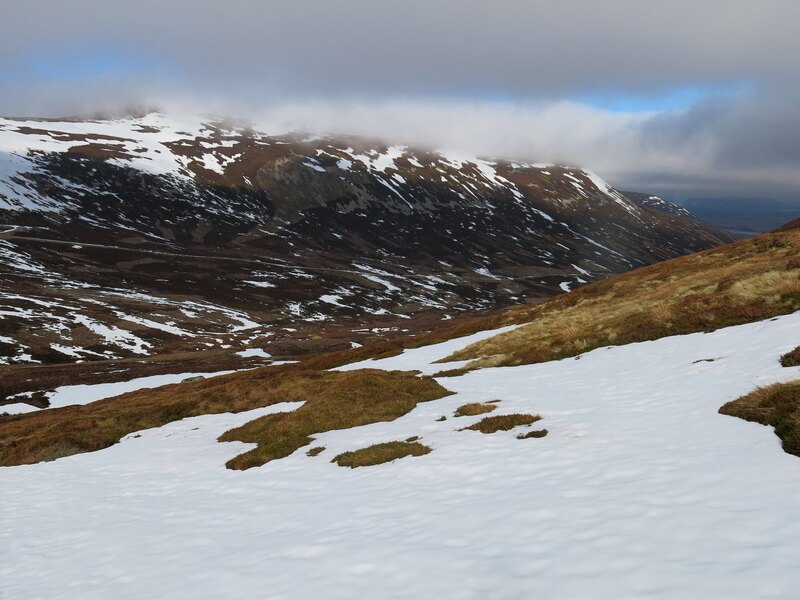 The descent into the valley of the Allt Coire Fhar was very quick down a long slide of snow. 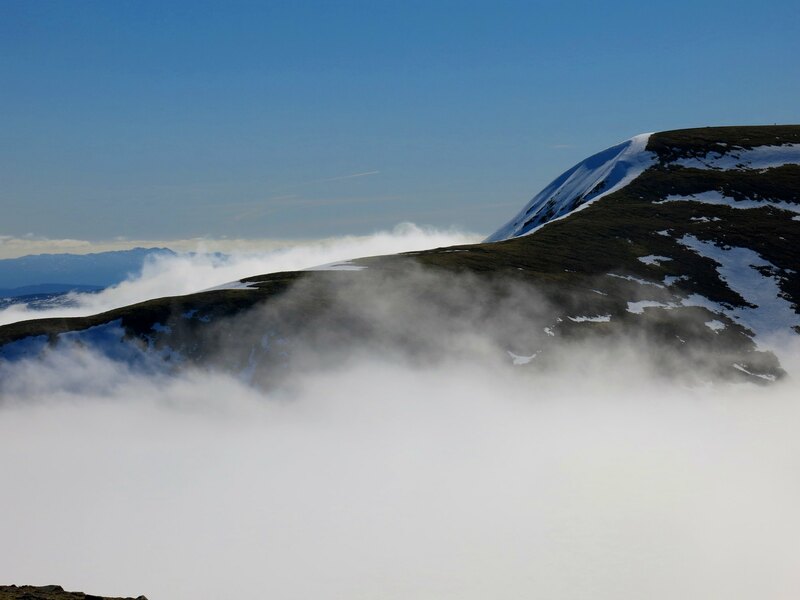 Suddenly I came out below the mist and could see Geal Charn. On down the track - near the bottom I noticed this nice view of the Allt. 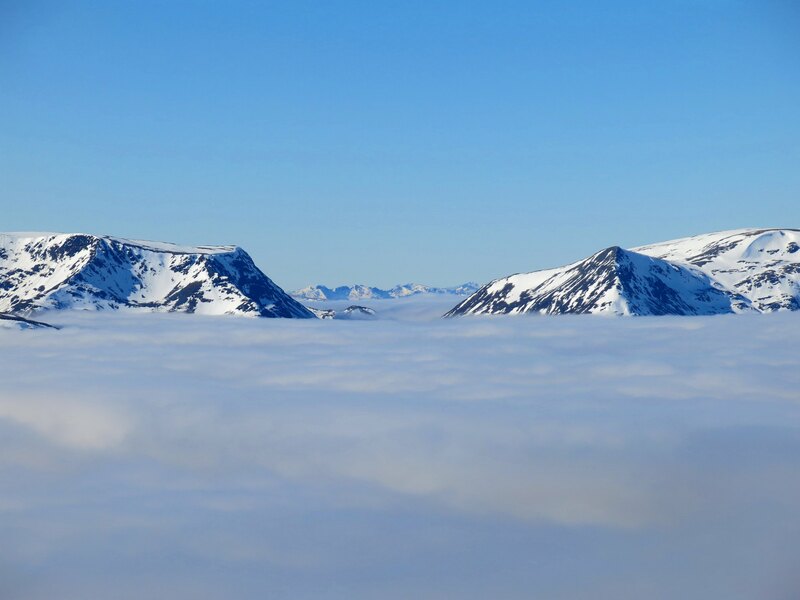 Well done on taking a chance of getting above the cloud. Another great set of pictures -looking forward to seeing the other reports. I went to revisit Geal Charn with my wife a couple of years ago and managed to go off along the wrong track as I was relying on memory. Oops, still not forgiven for that. Still, we did get views from where we ended up! To get that many good photos on the second worst day of the week just shows how lucky we were. thanks - yes - uploading photos now and hope to publish the remaining reports shortly. Main problem is editing the photos, as there were so many good views! Well if that was your worst day the rest must have been fabulous.